Wow. 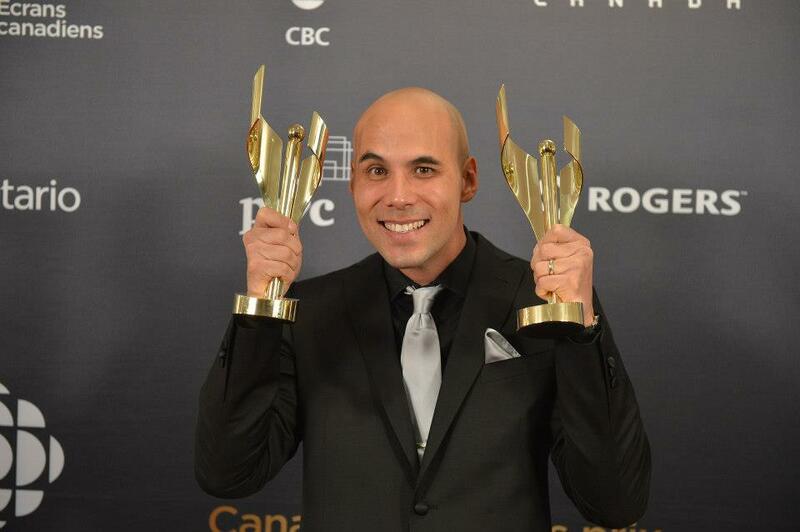 War Witch continues to be a nation’s pride after representing Canada at last week’s Academy Awards. 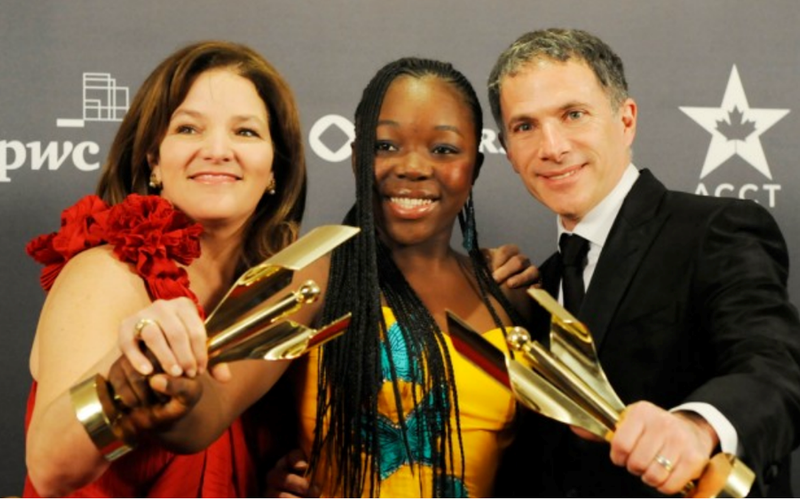 War Witch (Rebelle) dominated the film competition at the inaugural Canadian Screen Awards, winning an impressive ten statuettes including Best Film, Best Director for Kim Nguyen, and Best Actress for Rachel Mwanza’s quietly commanding lead performance. Mwanza’s win bookends War Witch’s success, as the young actress threw the film into the spotlight when she won Best Actress at the Berlin Film Festival early last year. The CSAs capped off a big week for Mwanza, as she joined the War Witch team at the Academy Awards. The influence of the Oscars was as apparent this year as it was the previous two years. Like Incendies and Monsieur Lazhar, War Witch trounced the competition as if voters hadn’t even seen the other films. Although War Witch’s top wins were almost a forgone conclusion, the win for Serge Kanyinda came as a mild surprise since a few speculators, myself included, presumed that Best Supporting Actor would go to Goon’s Jay Baruchel. Kanyinda deserved the win though, and his triumph was solid proof of the spell that War Witch has cast over Canadian moviegoers. Some of the film’s other wins, however, are a bit of a curiosity. Prior to the broadcast, War Witch steamrolled the crafts awards and even managed to snag the prize for Best Achievement in Art Direction/Production Design, which is a bit surprising since most of the drama occurs outdoors. War Witch also bested some tech-heavy films for the crafts prizes, like Brandon Cronenberg’s Antiviral or Xavier Dolan’s Laurence Anyways. Dolan actually won his first competitive award from the Academy Sunday night when his film earned the prize for Achievement in Costumes. The category was one of only two in which War Witch was defeated. The other was Achievement in Visual Effects, which went to the sci-fi blockbuster Resident Evil: Retribution. Among the other winners of the night were a pair of awards for two other great Canadian films: Deepa Mehta’s Midnight’s Children took home Best Supporting Actress for Seema Biswas and Best Adapted Screenplay for Salman Rushdie, while David Cronenberg’s Cosmopolis won both of the night’s awards for Achievement in Music. The biggest upset of the night came early when James Cromwell nabbed Best Actor for his performance in Michael McGowan’s Still Mine. Cromwell joked that he never thought much of award shows until he won his first award that night. Cromwell’s win is a surprise since Still Mine has yet to be released in Canadian theatres and therefore seemed less likely to have enjoyed the reach of, say, Melvil Poupaud’s performance in Laurence Anyways. Dolan’s film just couldn’t pick up steam, though, and the support for War Witch was solidified in Mwanza’s win over Laurence’s leading lady Suzanne Clément. Although it was foreseen that Clément would lose the award, Best Actress highlights just how sharply War Witch overshadowed a very strong field of contenders. Clément, in my opinion, gave the best performance by an actress in a Canadian film since Julie Christie in Away From Her. She was hosed. I’ll admit that even though I was rooting hard for Clément, I couldn’t help but smile as Mwanza took the stage for the second time last night and said merci to everyone involved in her film. Mwanza said an additional speech when she accepted the prize for Best Supporting Actor for Kanyinda who plays her fellow child soldier in the film. Another highlight came when Kim Nguyen, accepting his prize for Best Director, dedicated the award to the women of the Congo and emphasized that making a film also comes with social responsibility. The CSA broadcast, aside from a few jokes about errant Senate spending, was peppered with a few other political moments. 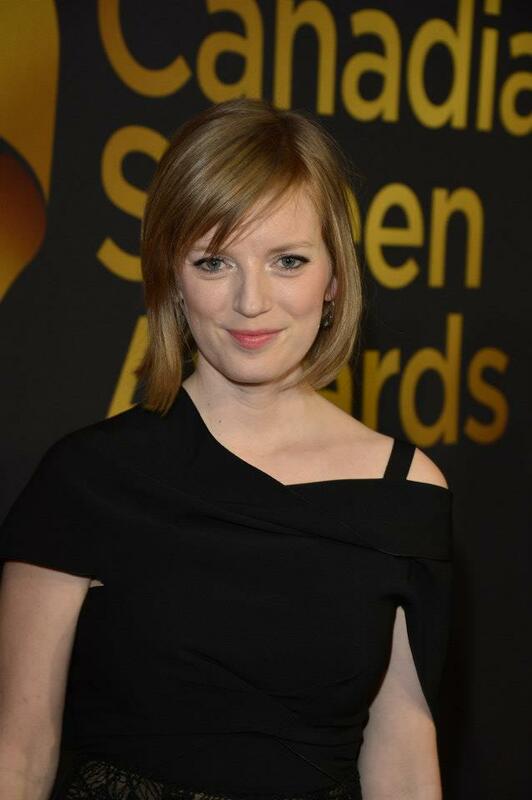 Sarah Polley made an important proposal during her acceptance speech for Best Documentary for Stories We Tell. Polley acknowledged her collaborators in the film and noted that they were ineligible for recognition from the Academy. Polley suggested that craft awards for documentary be added to future editions of the CSAs. Polley’s point should be noted since Stories We Tell was hands-down the best Canadian film of last year, being almost universally praised since its debut on the fall festival circuit, but its status as a documentary barred it from other categories. Stories We Tell bolstered the presence of the National Film Board of Canada at the CSAs, as the NFB took home a quartet of awards. Among the other prizes for Canada’s institution were Best Documentary Short for The Boxing Girls of Kabul and Best Animated Short for Paula. The night’s most overt, yet necessary, political statement came when Geneviève Bujold presented the Best Director prize with Allan Hawko. After being greeted by a standing ovation, Bujold presented in French and brought a notable change in tone to the otherwise unilingual ceremony. Watching an awards ceremony in our native tongue is something that we Anglophones take for granted, but there was a lack of Canada’s other official language in the ceremony. The only other French of the evening came during the mercis from the cast of Rebelle. Short: Oscar host next year? Keeping things mostly safe and apolitical was host Martin Short. Short might not have been as edgy as Oscars host Seth MacFarlane; however, in the vein of hosts like Billy Crystal, Short proved that old school riffing about the nominees is always a smart way to keep the show lively, tasteful, and relevant. Short’s opening monologue referenced the recent Academy Awards by taking a shot at Best Picture winner Argo by noting that Ben Affleck travelled Air Canada by way of American Airlines. Short appeared in some of his various guises, including the annoying entertainment journo Jiminy Glick, who livened up the red carpet. Sunday’s awards were a brisk affair even though the Canadian Screen Awards offer prizes in 120 categories. Winners in digital media and television were handed out in two ceremonies over the weekend. The broadcast ceremony included only major wins for film and television. The major television winners included Flash Point, Less Than Kind, and Dragon's Den, for Drama, Comedy, and Reality Series. The ceremony, which ran only an hour and a half, didn’t even include excerpts or highlights from the nominated works. The broadcast also began with a mild embarrassment, as shots of the crowd during Short’s opening monologue revealed a bunch of empty seats in Toronto’s Sony Centre. It looked as if many people simply couldn’t be bothered to come out and celebrate their peers. The seats filled up as the night went on, though, and guests sported drinks from an on-site bar. It was hardly a party akin to the Golden Globes, but spirits seemed to rise as the night went on. I could have used a drink, too, since my predictions for the CSAs yielded one of the worst scores in my track record: 14/22! How embarrassing! The inaugural event felt like a success nevertheless, as it brought a distinctly Canadian sense of enthusiasm to a film that’s been in the spotlight abroad in recent weeks. Buzz for the Canadian Screen Awards seemed to have film buffs a-Twitter since social media was roaring with interest and feedback. There might be a few kinks to be worked out in the ceremony, but this year’s event achieved the tricky task of getting Canadians excited about their own films. Hopefully a boatload of hardware will lead more Canucks to seek out War Witch now that it’s available on home video. Full list of film winners.